These general terms are abided by Spanish law. In case of controversy derived from these general terms and to resolve conflicts, parties are referred, under their own election, and renouncing to any other jurisdiction, to the judges and courts of the user's residence. All the products' prices shown in the web include VAT and the taxes that may correspond, except of the professional area for distributors where tax free prices can appear. In any case, those taxes will always be duly stayed. Shipping cost in peninsular Spain are included in the product's price., for the rest of destination a supplement will be charged, shown in Shipment Costs section. Clients are commited to pay at the moment of the product's order. The corresponding shipment costs' taxes will be added to the initial price shown in the web for all the products. In any case, those taxes will be previously communicated to the client before making the payment. The purchase receipt of the shipment will be available and could be seen and printed in the website. Clients will pay the correspondant amount to their order through payment via credit card, debit or bank transfer (Visa, MasterCard, American Espress, Visa Electron and/or other analog cards). Credit cards used to the payment must have a Spanish bank or saving bank as issuer financial entity. 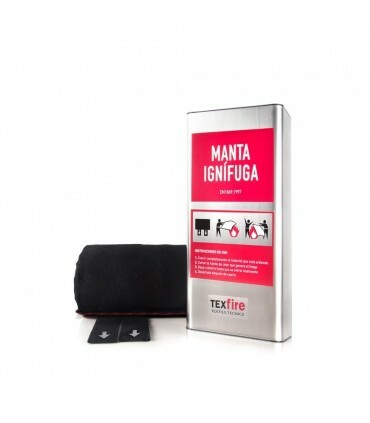 TEXFIRE acts as manufacturer, in legal terms established in accordance to Real Decreto Legislativo 1/2007, de 16 de noviembre, approving the recast text of Ley General para la Defensa de los Consumidores y Usuarios.These warrant duration is one year since the delivery date. 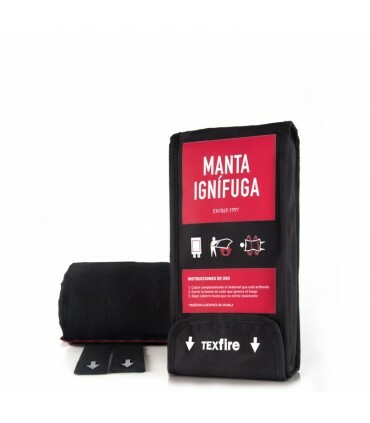 Also, Textfire warrants that all products are made with certified materials of official laboratories that bring maximum quality and does not present any defect or latent defects. Guarantee does not include deficiencies caused by negligencies, improper use or handling. All products modified or repaired by the client or other person not being the manufacturer are excluded from the guarantee. Guarantee will not be applicated to apparent or conformance flaws of the product, to which any complaint must be formulated by the client in the following 7 days after the products' delivery. To make use of the guarantee, the proof of payment or delivery note must be kept by the user. All products could be returned and refunded, as long as clients communicate Texfire of their intention to return the product under a 15 natural days' maximum periode, counted since the delivery date and meeting the following requisites: -Product must be in the same appeareance as when it was delivered and must have its own original package and labelling. - Shipment must be done by using the same box or envelope where it was received, if not, it could be shipped on a similar format that warrants the return in perfect condition. 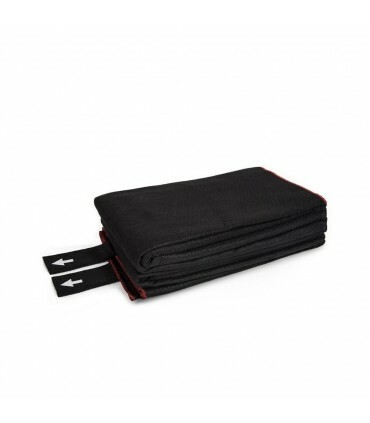 - A copy of the delivery note inside the parcel must be included, in addition, the returned products and the return's causes must be stated in this note. If the return's reason is not attributable to Texfire, the products' cost will be refunded, except delivery costs by return. Texfire will manage the return order under the same sistem used during the payment within 48 hours since the confirmation of arrival of the returned product to the warehouse. The refunding in client's account or credit card will depend on the credit card and the issuing entity. Aplication period will be for a period of 7 days in debit cards and 30 days in credit cards. TEXFIRE reserves the chance of sending the same order in different deliveries. Each delivery is considered effective until the moment in which the shipping company puts the product under disposition of the client and informs through the control system. Delivery time will depend on the way of shipment, product availablility and the place of shipment, although the usual delivery time with in stock products is from 2 to 5 business days, counting since the purchase date. In case of shipment delay due to logistic aspects or stronger force, TEXFIRE will inform the client but in any case will be responsible of the delay. 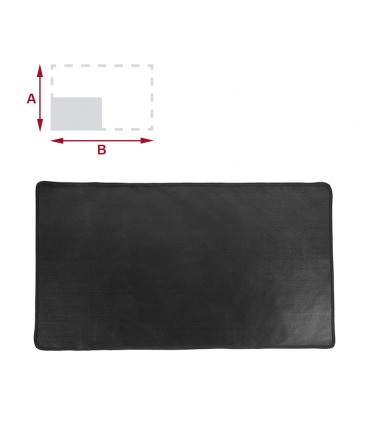 Clients must verify the parcel's good condition in front of the transporter who, on behalf of TEXFIRE, will make the delivery of the requested product, pointing out in the delivery note any kind of anomaly shown in the package. If subsequently, once the product revised, the client will detect any incidence as a blow, break, signs to have been opened, or any defect caused during delivery, the client undertakes to inform to TEXFIRE via email in the shortest time possible and in a maximum of 5 business days until the delivery date.